Dapper Signs are head-over-heels in love with the art of brush lettering and fiercely passionate about graphic design – sans computers. 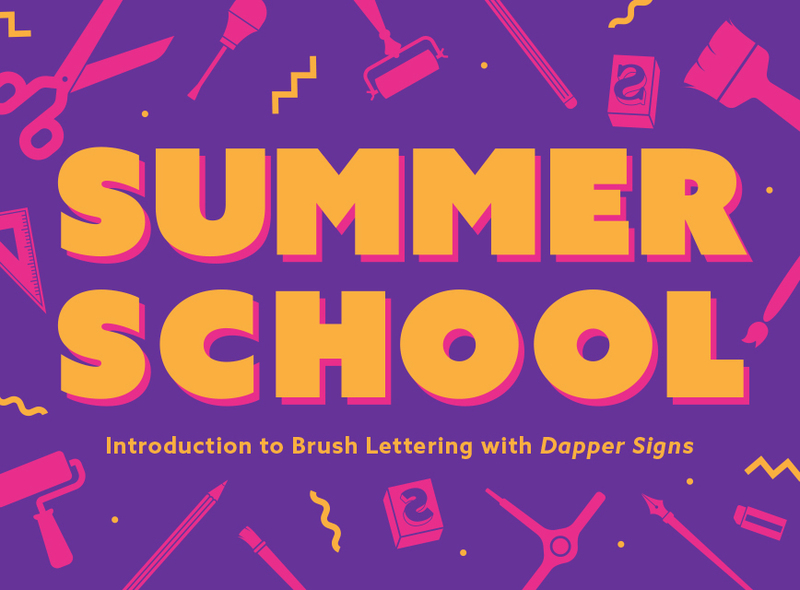 In this workshop you’ll be introduced and taught to use the tools needed to begin hand lettering. You’ll get comfortable with practicing basic foundation brush strokes that make up the whole alphabet. All materials are included. Remember to wear clothes that you don’t mind getting a bit of paint on. There are only 10 places on this one-off special workshop, so book soon. Visit Dapper Signs for info on their work.